LTE wireless access on airline flights? Yes, please! After years of development, airline passengers will be able to access the Internet using LTE this year, according to telecommunications equipment and networking company ZTE. A test conducted by ZTE last month in China shows the technology is ready. The test occurred last month on Hainan Airlines Flight HU7137 from Beijing to Xian. Internet connectivity was available for 70 minutes of the two-hour flight and, during the test, engineers were able to do communicate via video conferencing while also playing online games. The downlink and uplink bandwidths were stable and worked at speeds greater than 12M bps, according to ZTE. The underlying system connects planes with base stations on the ground using LTE, while passengers use Wi-Fi to access the Internet. It is capable of providing higher download and upload speeds that was shown in the test, ZTE said. The company has been working on making this possible since 2011, and this year it expects to launch a commercial 4G ground-air communication systems on all Chinese airlines. ZTE isn't the only network company that has shown an interest in providing systems to allow planes to be connected using LTE. Last year, Deutsche Telekom, Alcatel-Lucent and Airbus announced they had tested ground-to-air LTE, as well. LTE can provide a more efficient, low-cost alternative to current systems that use satellites, Deutsche Telekom said in a statement at the time. On the ground, LTE continues to grow in popularity. There are now 156 commercial networks in 67 countries, according to industry organization GSA (Global mobile Suppliers Association). 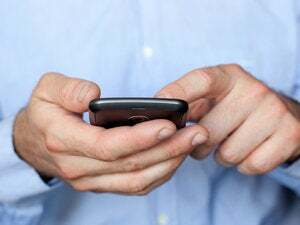 Meanwhile, the number of subscriptions increased by 23.2 million to about 68.3 million during the fourth quarter of 2012, according to Informa Telecoms and Media. Fifty-five percent of the subscriptions were in North America; 40 percent in the Asia Pacific; and 4.4 percent in Europe.